What to make when well-meaning friends gift you with discount store size 10 silver lined glitzy beads. 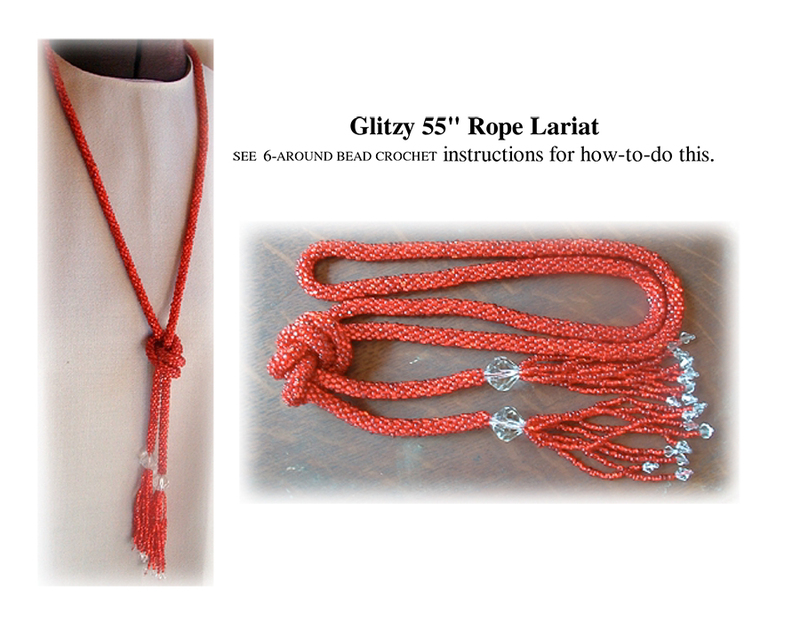 However this 55" rope lariat looks stunning on a black velvet dress for evening wear. Use it long, or wrap it around twice and tie a big knot. ​Stitch instructions are NOT included.